Released in standard jewel case with 16-page staple-bound insert book that includes lyrics. Mixed at Rhubarb Studios, London. 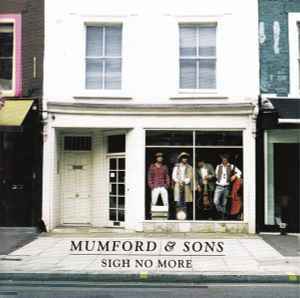 ℗ and © Mumford & Sons, under exclusive licence to Universal Island Records Ltd. Some copies were released with stickered labels worded as follows : "BRIT AWARDS 2011 nominee" and "Put this CD in your computer and go to www.mumfordandsons.com/bonus to unlock extra video content"